Melissa Dream is a food supplement designed to provide restful sleep and ensure the user wakes up feeling refreshed and invigorated. The tablets are manufactured in Sweden by the Scandinavian company New Nordic. It is a reputable company and Melissa Dream tablets are readily available online and in-store all over the UK. According to the marketing material, Melissa Dream contains a unique combination of herbal extracts and bioactive micronutrients that have the power to influence the nerves, brain, and psychological functions to provide the aforementioned benefits. Most formulations of this kind contain the herb valerian, but Melissa Dream does not. Bearing in mind valerian does not work for some people, the fact that this formulation does not rely on it may make Melissa Dream a particularly viable option for people in need of a valerian alternative. 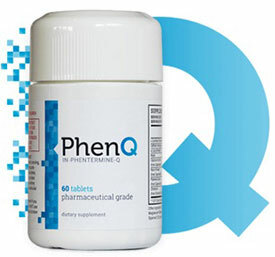 Although not a direct alternative product we suggest using a product such PhenQ – PhenQ is multi benefit. One of the benefits is weight loss, a proven fact is that being not necessarily obese but even slightly over weight can contribute to a sleepless nights. Lemon Balm Extract (melissa officinalis L.) (600mg): Actually a member of the mint family, lemon balm is known to help relax the body and has a long history of use as a sleep promoter and stress reducer. It also has the ability to calm an upset stomach. Although very few studies have been conducted on lemon balm’s sleep-providing abilities as a stand-alone ingredient, a number of studies suggest it may produce some good results when combined with other herbs, including chamomile. Camomile Extract (matricaria chamomilla) (200 mg): The dried flowers of the chamomile plant are believed to have the ability to relax the mind and body and lull the user into a restful sleep. Some preliminary studies suggest chamomile’s reputation for being a natural aid to sleep may not be undeserved, but most experts agree further study is required. L-theanine (134 mg): An amino acid that can be obtained from green tea. It is believed to stimulate the neurotransmitter GABA which can then, in turn, quiet an overactive mind. L-theanine is also believed to encourage alpha wave activity in the brain and enable people to fall asleep quickly, sleep more deeply, and wake up refreshed the following morning. Magnesium (200 mg): Although magnesium does not have the ability to encourage sleep, it is required for the correct function of the GABA receptors; so if the diet is not supplying sufficient magnesium its lack will interfere with the natural sleep process. 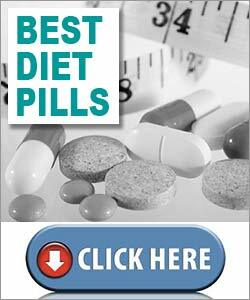 Bearing this in mind, and taking note of the fact that many people’s diets do lack vital nutrients, the inclusion of magnesium will most likely be beneficial. The rest of the formulation consists of various forms of vitamin B. B vitamins are necessary for regulating the hormones and neurotransmitters that are required for a good night’s sleep. The neurotransmitter serotonin is one example. The body requires sufficient B vitamins for its manufacture and, once synthesized, serotonin can be used in the manufacture of melatonin (a neurohormone important for sleep). How to Take Melissa Dream Tablets – Two tablets are required each evening and should be taken an hour before retiring to bed. Customer feedback is mixed and suggests the tablets may work better for some users than others. Pregnant or breastfeeding women are advised not to take Melissa Dream tablets without a doctor’s consent. The product is also not deemed suitable for children under the age of 12. Side effects are extremely unlikely but anyone who has health issues, or concerns about the product or its use, should discuss the matter with a medical professional. Melissa Dream is available in packs of 20, 40, and 100 tablets, and can be purchased online from a number of suppliers including Amazon UK, Vitamins Direct, and Holland & Barrett. The 40 tablet option appears to be the most popular size with the majority of suppliers. Expect to pay around £15 for a box of this size.